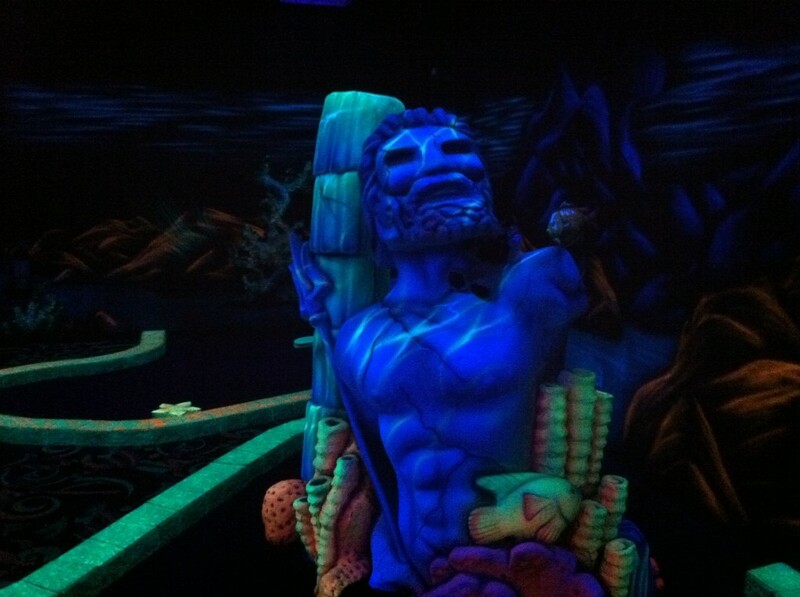 Poseidon referees our company retreat: Bowling and Black Light Mini Golf. 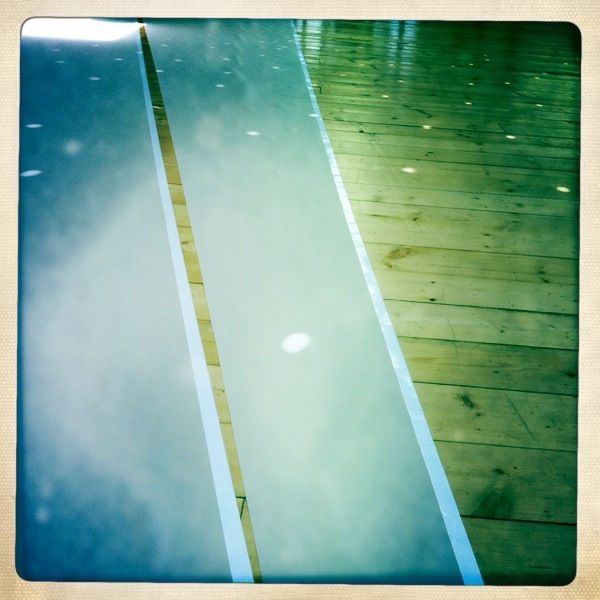 The disco ball lights up some tent panels laid out on the floor. 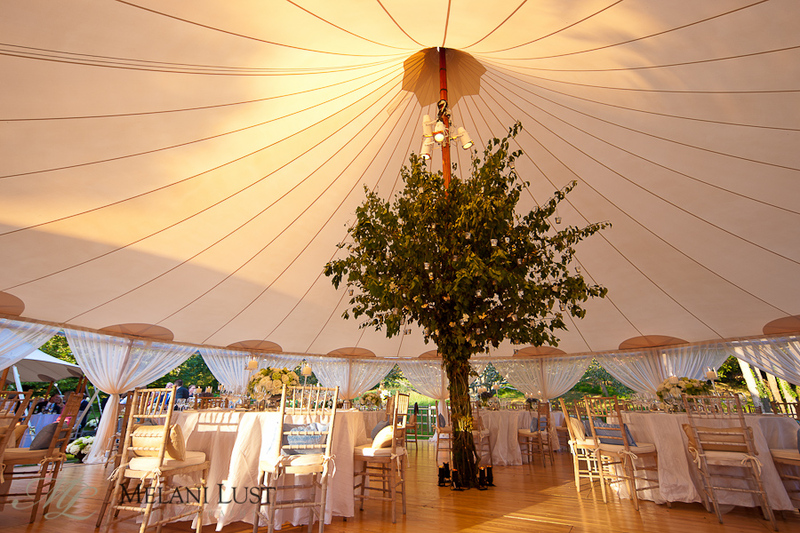 A living tree seems to support the center pole of a Sperry Tent, photo credit Melani Lust Photography. Have a happy weekend, readers. And don’t forget to call us and make an appointment if we take your awning down for the winter! Most are down already, and the chill weather is approaching rather quickly.